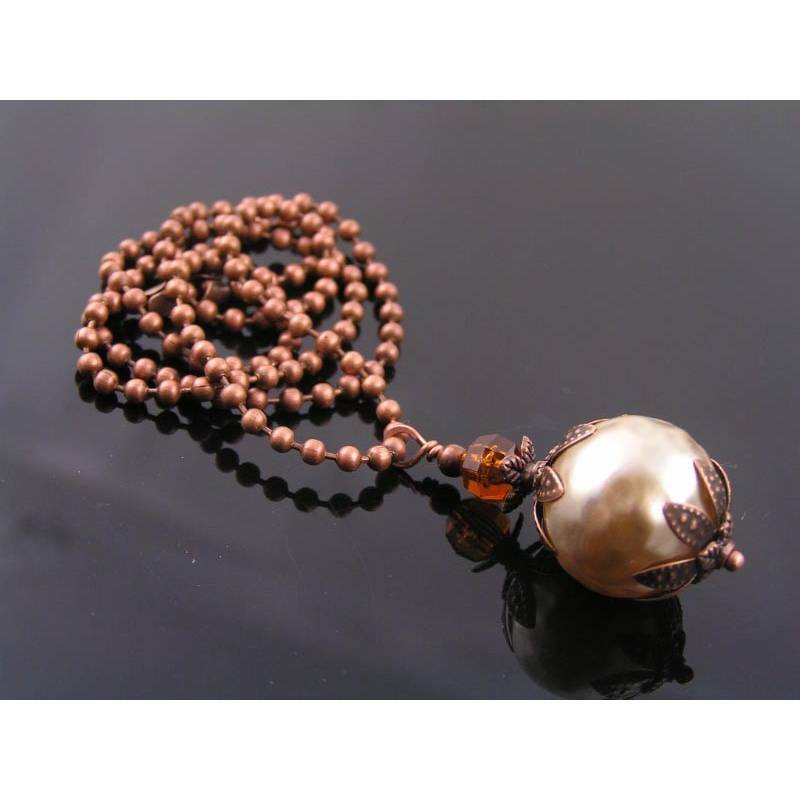 Copper necklace with large pearl pendant. This is more of a modern pearl necklace. 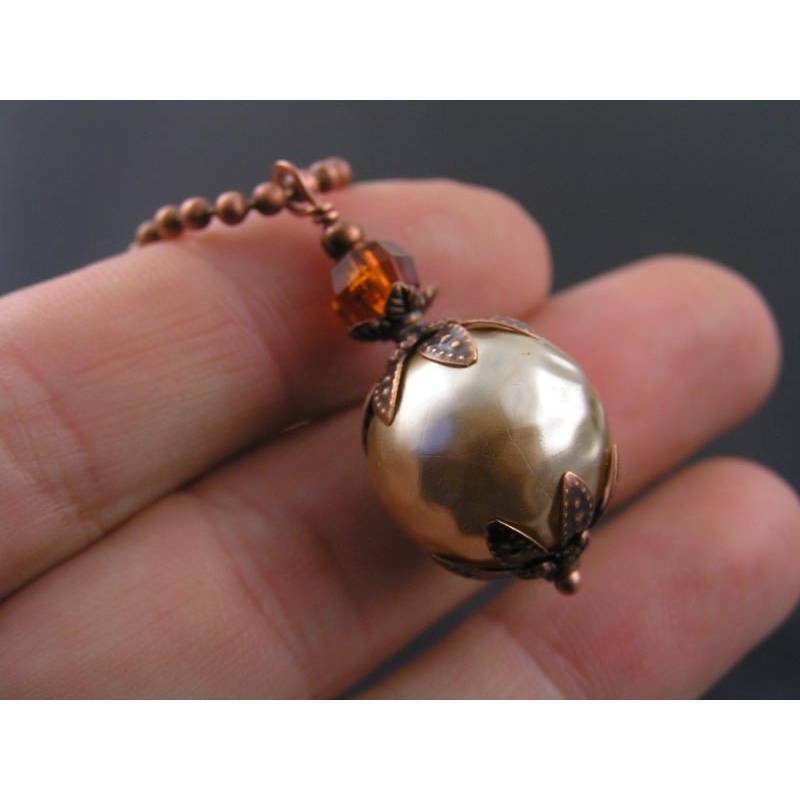 The antique copper tone ball chain has a pendant attached which showcases a large pearl, measuring 15mm in diameter. The pearl is made out of acrylic with a softly faceted finish. The pearl has a very nice shiny coating and is so comfortable to wear as it is very light weight. 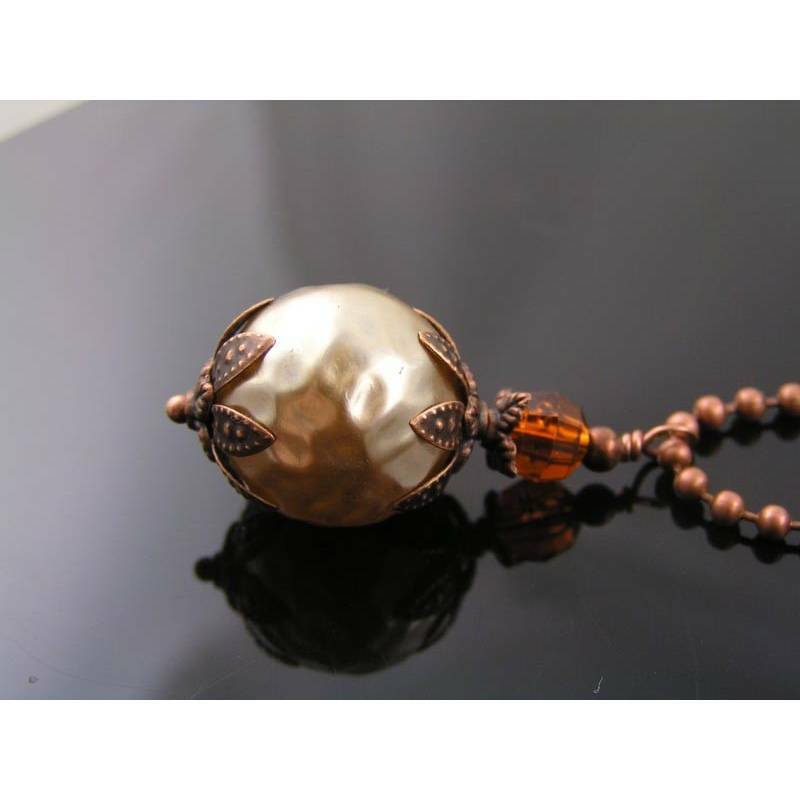 The pearl is framed with antique copper bead caps and topped with a dark topaz coloured acrylic bead. Total length of the pendant is 33mm. The necklace measures 42cm and all metal is antique copper finished.